​and the healing power of art. NOT The Last Butterfly has been appearing in film festivals since 2016 and not only shares the inspiring story of The Butterfly Project, but also serves as a call to action for everyone who sees it. The Butterfly Project encourages people everywhere to join us in creating a more peaceful world by bringing The Butterfly Project to their communities. 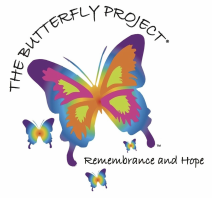 ​Sign up to receive more information about The Butterfly Project and NOT The Last Butterfly.